BYBA is pleased to announce its first live training session w/ Positive Coaching Alliance. Coaches and Parents are encouraged to attend. PCA is a national non-profit whose “Better Athletes, Better People” approach to youth and high school sports entails creation of a Development Zone culture based on the values and practices espoused in PCA Founder Jim Thompson’s book, Developing Better Athletes, Better People: A Leader’s Guide to Transforming High School and Youth Sports into a Development Zone. 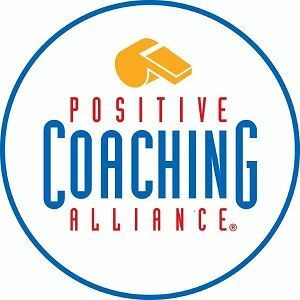 Positive Coaching Alliance develops BETTER ATHLETES, BETTER PEOPLE through resources for youth and high school sports coaches, parents, administrators and student-athletes. In addition to hundreds of free audio-video and printable tips and tools at PCA DevZone, PCA has partnered with roughly 3,000 schools and youth sports organizations nationwide to deliver live group workshops, online courses and books that help those involved in youth and high school sports create a positive, character-building youth sports culture.